find any information on our baby. 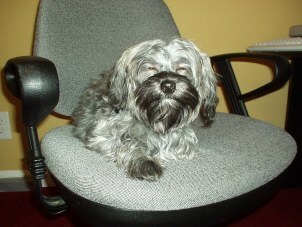 That means she is part Shih-Tzu and part Poodle. 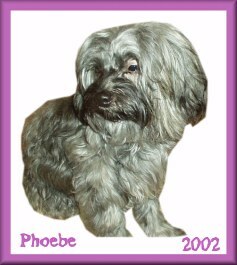 Shih-Tzu and her dad is a chocolate toy Poodle. I was very disappointed that the internet had really no info on Shi-Poos. to help all Shi-Poo moms and dads out there in web land. See photos of our vacations with Phoebe! !! !We WENT to the BEACH!!! Phoebe is looking for a boyfriend! Phoebe says it's a dog's life ,everyday! 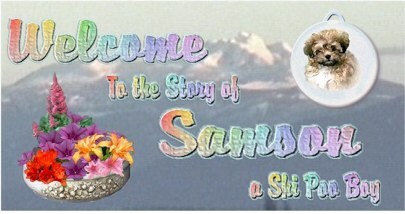 my special friend Samson's web site! You will find it lots of fun! If you know of any breeders please e-mail me! There are potential moms and dads looking to adopt!! puppy mills or puppy wholesalers. I think they are mean, vicious,horrible beings! and were searching for a new addition to our family. This is my choice as an individual . You have to make up your own mind. I have been informed that this operation is a wholesaler. before you purchase a pup from here! I have. If you wish to not have it sent to you please e-mail me and let me know. I will remove your name from my address list. "We are an official Associates of Free-Banners.com. Find out how you can start driving insane traffic to your web site. Click here"